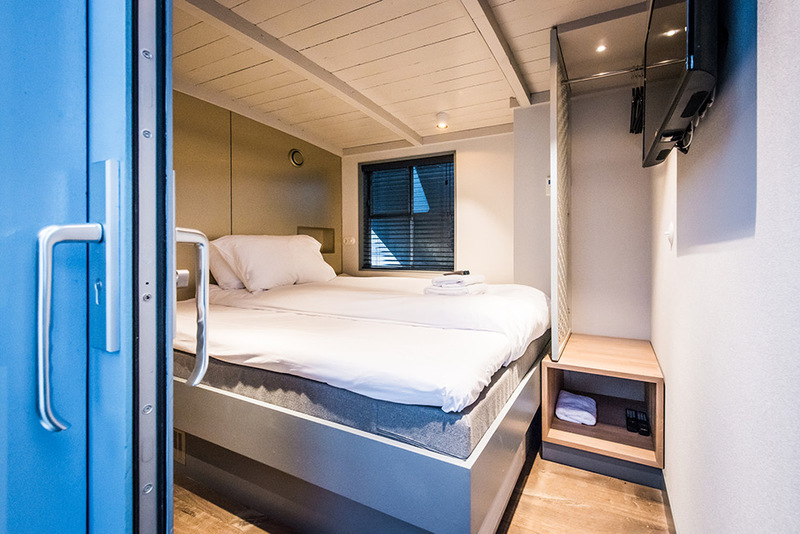 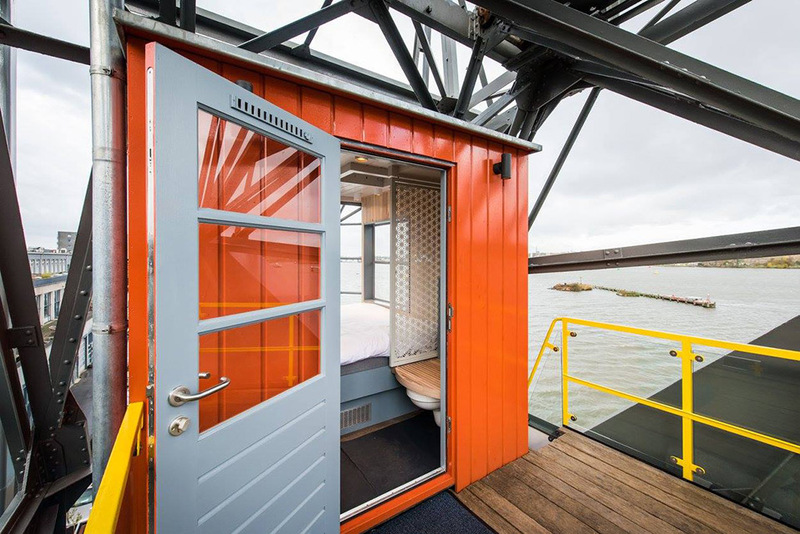 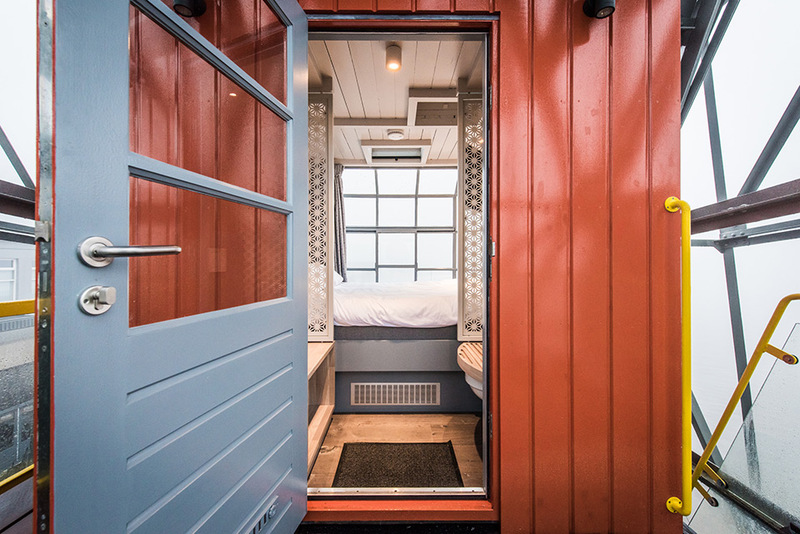 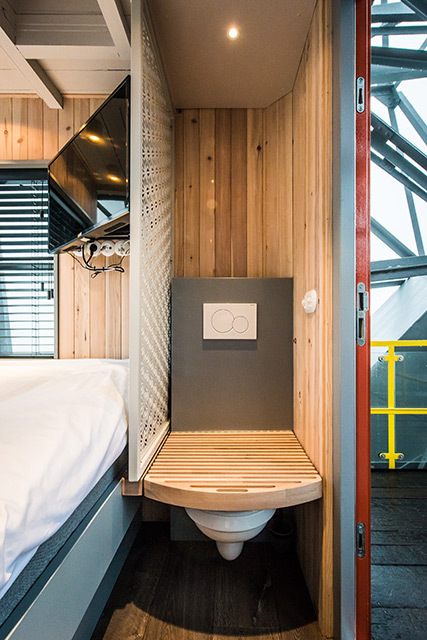 Copenhagen is not the only city where you can spend a night in a harbor crane. 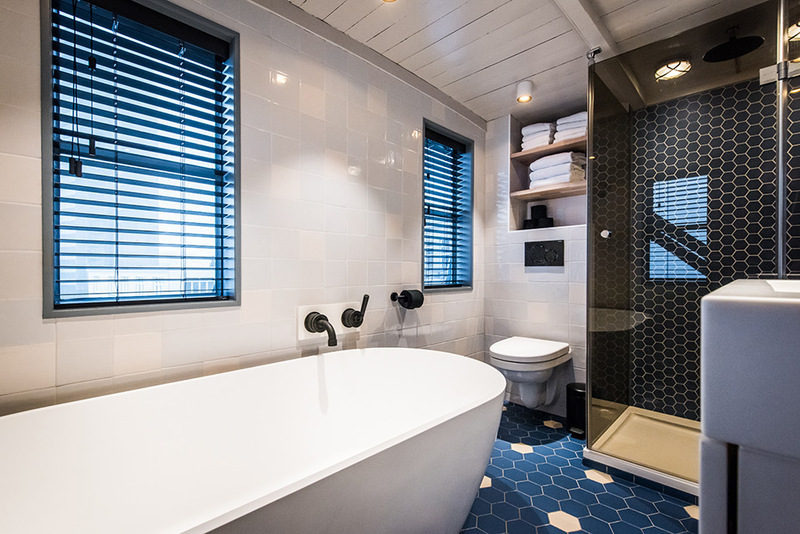 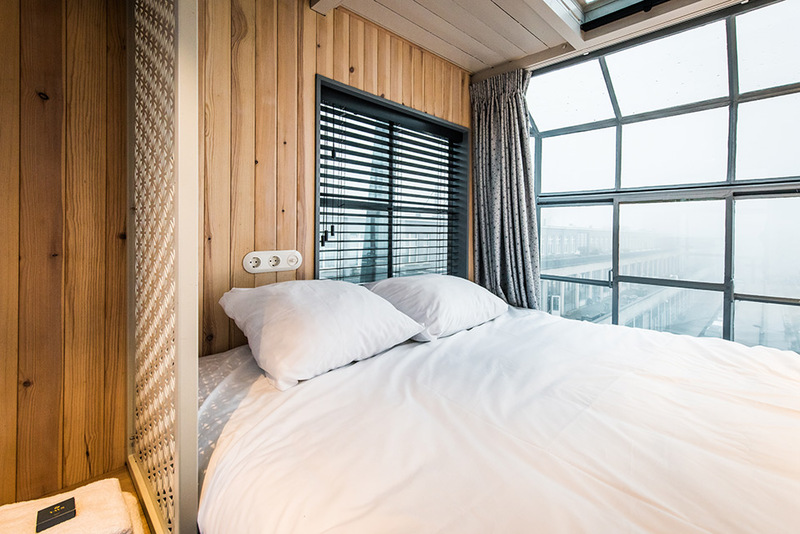 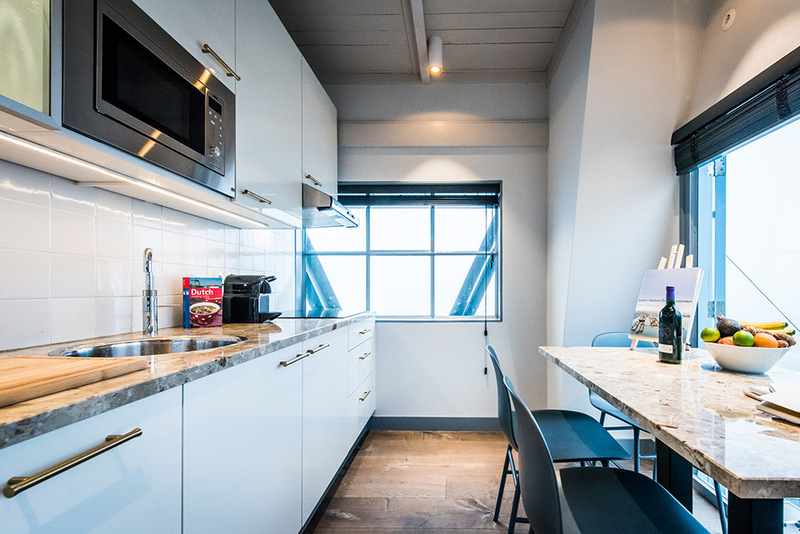 Last year, the Dutch company Yays Concierged Boutique Apartments opened a three-story luxury apartment located in a monumental crane in the Eastern Docklands area of Amsterdam, Netherlands. 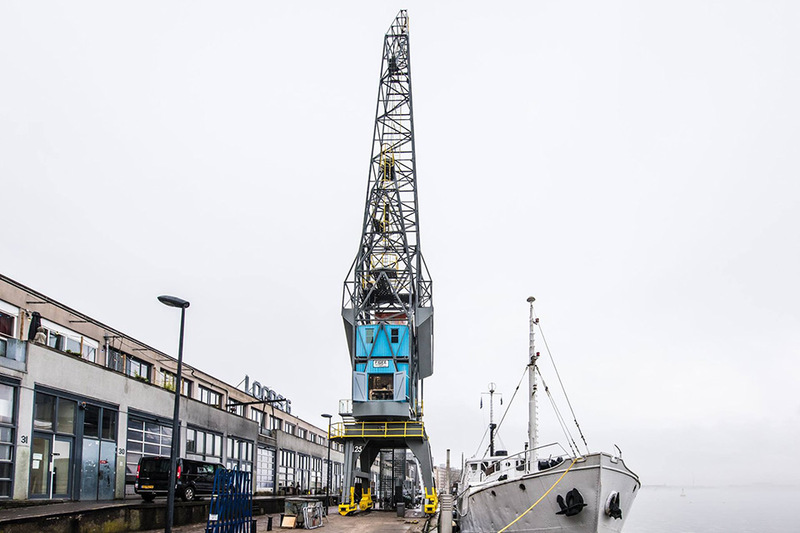 The crane was built in 1958 and served until 1979 when container transport took over and the IJ river became too small and the cranes too fragile. 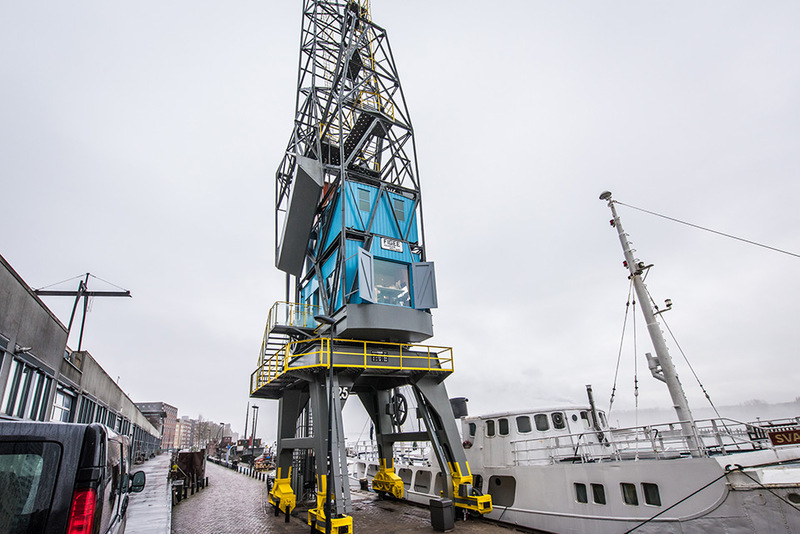 In 1975, the municipality of Amsterdam decided to transform the Eastern Docklands into a residential area and demolished all the cranes except this one – the Figee crane 2868. 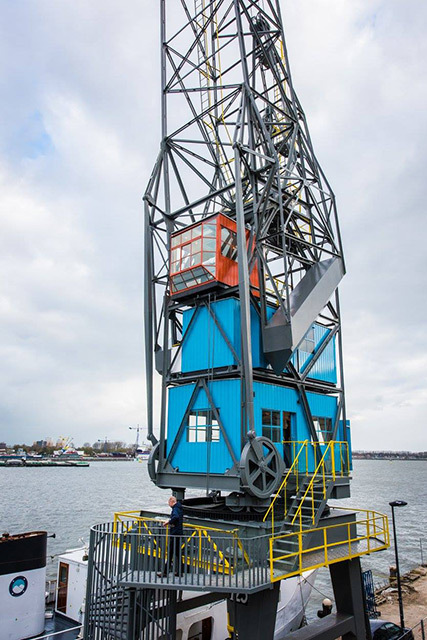 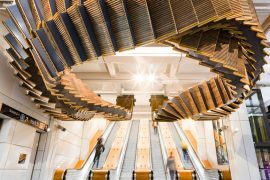 After a thorough restoration in 2016, the renowned Dutch designer Edward van Vliet turned the structure of the crane into a luxury apartment while maintaining its characteristic look and feel. 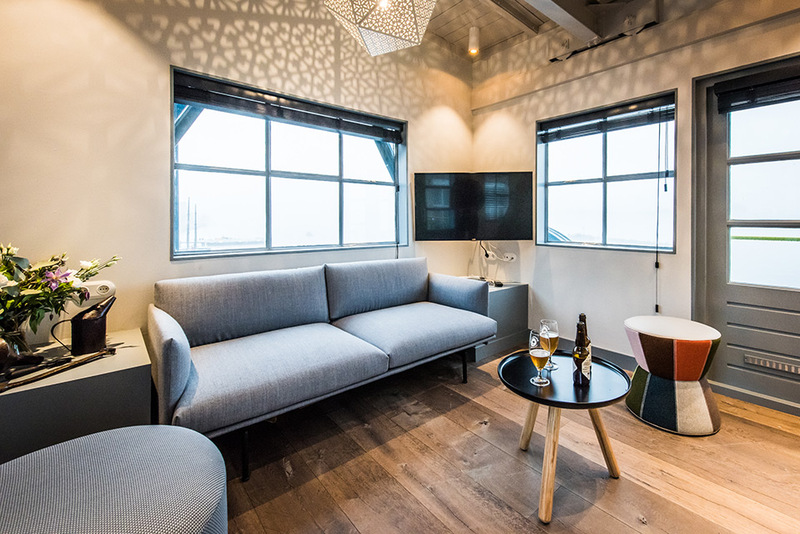 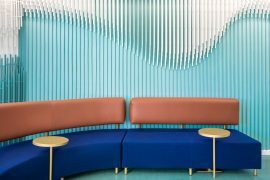 The interior features different design elements – like exposed steel beams or thick wooden floorboards – that refer to the industrial past of the structure and the area. 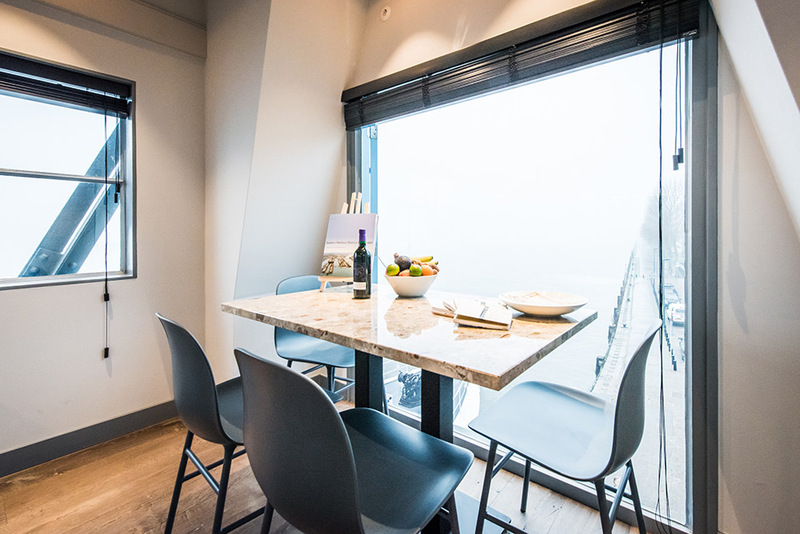 Thanks to the original location and unique neighborhood, guests have an opportunity to feel the crane’s history and enjoy ultimate comfort at the same time. 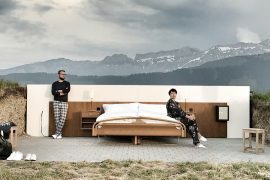 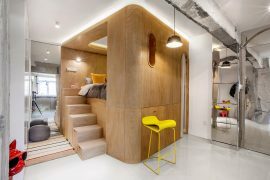 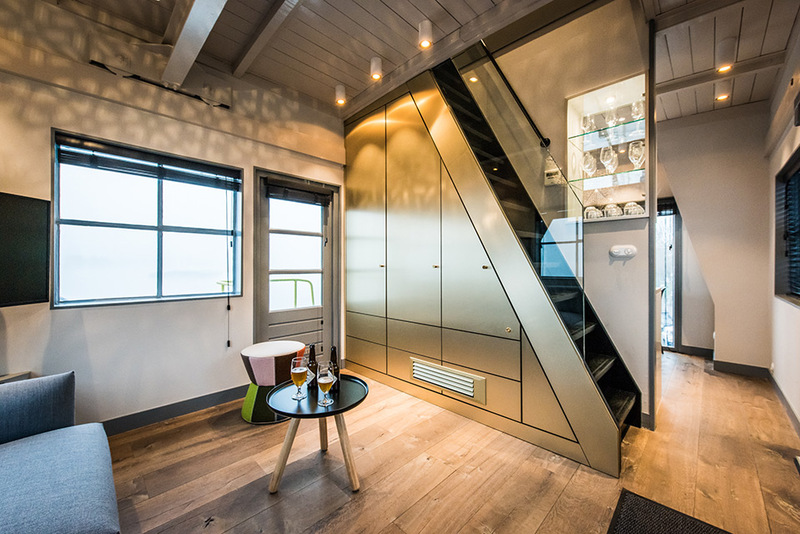 The crane apartment occupies 40 sqm (430 sqft) inside three stacked shipping containers built-in in the crane’s structure. 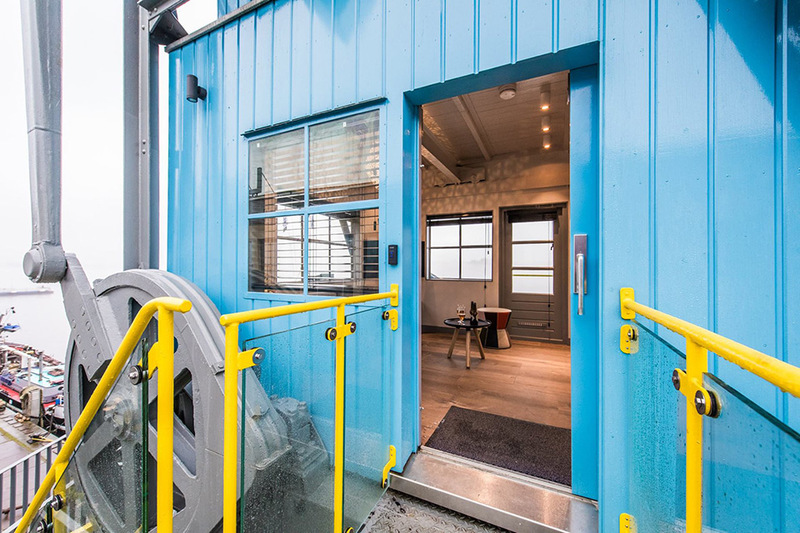 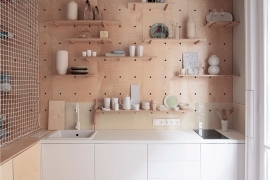 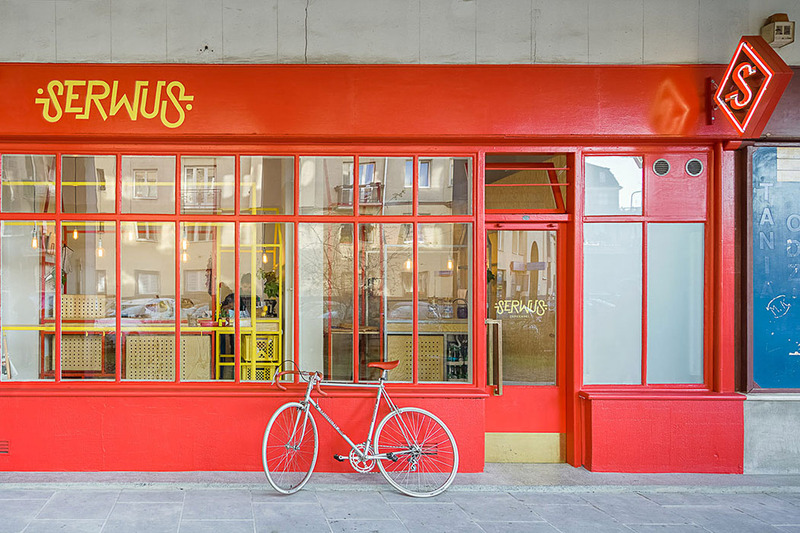 The lowest container comprises a living area, a fully equipped kitchen, and dining area. 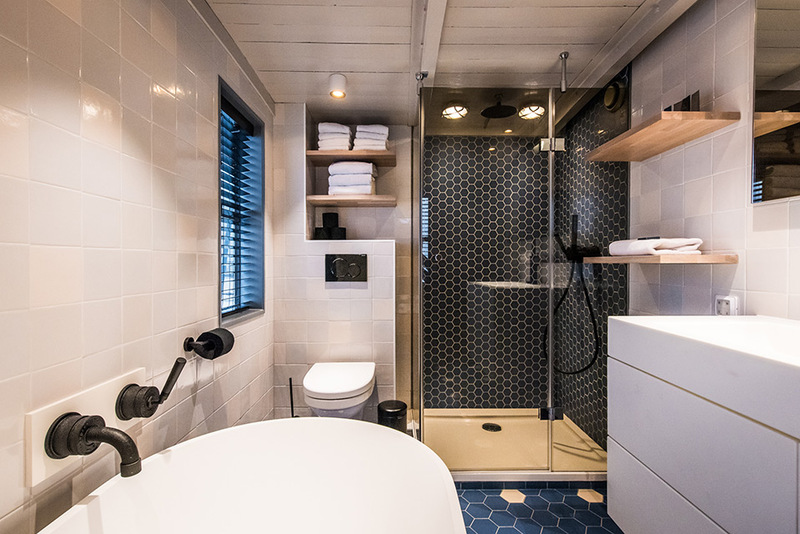 Above, there is a bedroom and a bathroom with a large bathtub and separate shower. 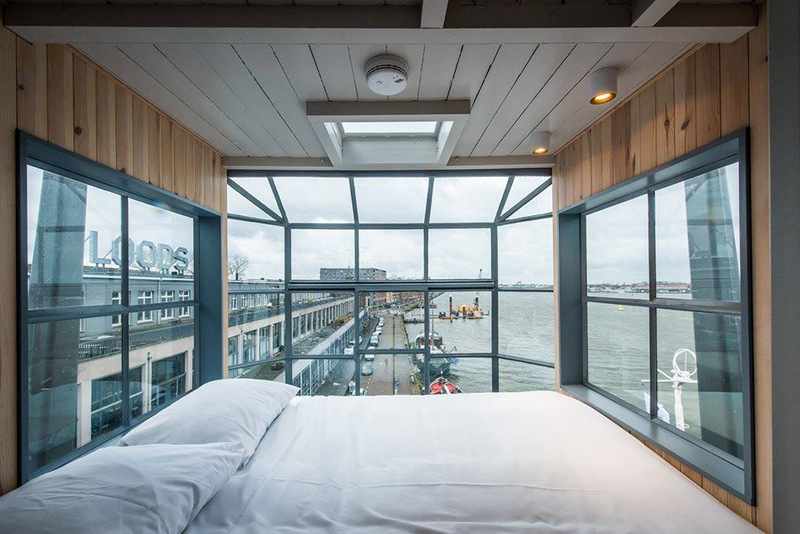 On the top level inside the red container, there is another bedroom in which one wall of the container was replaced with a glazed structure that provides panoramic views of the IJ river and surroundings.